Bass-baritone Ashley Mercer performs a wide range of repertoire from baroque to contemporary music, specialising in opera and oratorio. 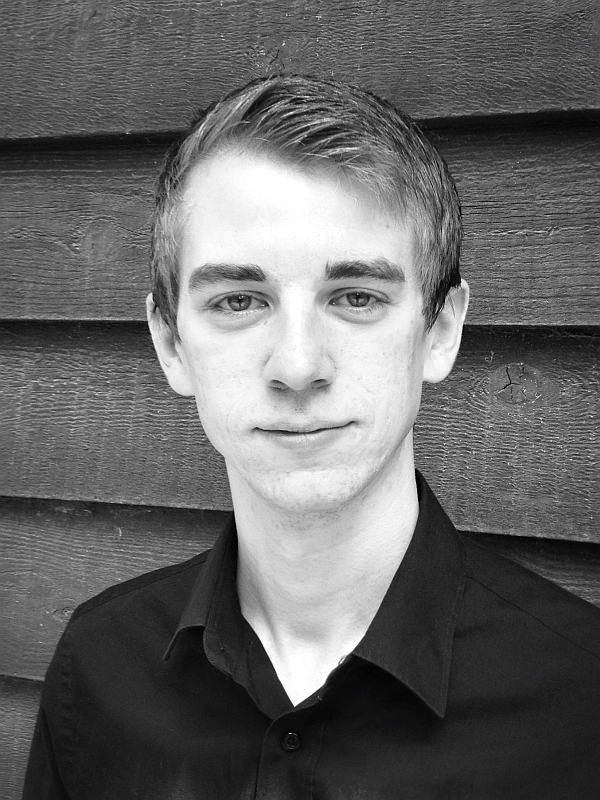 Ashley's interest in singing began at school where he was a member of the chapel choir and performed in productions of Bugsy Malone and Guys and Dolls (the latter as Nicely-Nicely Johnson - his first, and last, appearance as a tenor!) and he went on to join the National Youth Choir of Great Britain, performing and recording across the UK. On arriving at King's College London to study physics, he found a natural home in the chapel choir under David Trendell, with whom he recorded for Gaudeamus and broadcast on BBC Radio 3; and also as a performer, director and conductor of Gilbert & Sullivan and musical theatre. A brief stint in the City followed before he decided to return to study singing more formally: in 2013 he graduated with distinction from the Masters programme at the Trinity Laban Conservatoire of Music and Dance, where he was a TCM Trust Scholar and a Kathleen Roberts scholar, and was awarded the Paul Simm Opera Prize. He has been a New Generation Artist for Iford Arts, and a Christine Collins Young Artist for Opera Holland Park and recently having made his main stage debut for Wexford Festival Opera. Recent and future opera engagements include Max Kane (Dinner at Eight, European premiere), Luka (The Bear, Walton) and German Soldier (Silent Night, European premiere) for Wexford Festival Opera; Blackbeard (Moonfleet) for Salisbury Playhouse; Enrico (Lucia di Lammermoor) and Maestro Spinelloccio (Gianni Schicchi) for Fulham Opera; cover Colline (La bohème) for Iford Arts; Jazz Trio Baritone (Trouble in Tahiti) for Bloomsbury Opera; Badger / Parson (The Cunning Little Vixen) for British Youth Opera; Ernest Shackleton (Shackleton's Cat), Student / Schlémil (The Tales of Hoffmann), and covering both Colline and Alcindoro (La bohème) all for English Touring Opera; Publio (cover, La clemenza di Tito) for Midsummer Opera; Jupiter (Orpheus in the Underworld) for Trinity Laban; Dr Craven (McNeff's The Secret Garden) for Trinty Laban and The Banff Centre, Canada; Captain Corcoran (H.M.S. Pinafore) and Ko-ko (The Mikado) for the New London Opera Group. Oratorio engagements include Haydn Creation at St John's Smith Square under Nicholas Kraemer; Beethoven Symphony No 9 for Essex Symphony Orchestra. A keen proponent of new music, he has performed as part of Exposure:Opera, the Royal Opera House's showcase for new works; he has originated the operatic roles of Sextus (Perpetua, Nick Bicât) and Daniel (These Things Happen, Jonathan Pease); and he gave the premiere performance of Jeffrey Joseph's new song cycle Walking Away.